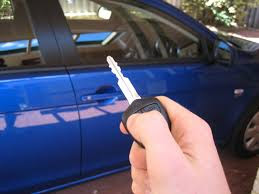 Buying new or used cars in Lakewood and the surrounding area is made a simple task with the help of Olympia Auto Mall. You must shop wisely. The first thing that you need to know when considering buying a new car vs. used is that both are good options, if you take the time to consult with and support a reputable and reliable car dealership. New car’s offer the benefit of no miles on the clock, top quality finishes and features and everything being in what should be considered “perfect condition”. They are undoubtedly a great buy, but can be quite a bit more costly than a second hand vehicle. Second hand cars that are well maintained and serviced can be just as valuable to you. A well maintained car can offer low mileage, good quality interior and exterior and also come with a much lower price tag attached. If you’re going to buy second hand cars, make sure that they are certified. This means that their maintenance and history log has been checked out and that they have been thoroughly serviced. New cars come with more and often better safety features. Stability control, air bags, ABS brakes and more are all features to be expected on a new car. However, this doesn’t mean that older or second hand cars don’t have these features. Always ask the dealership for a full breakdown of a second hand vehicle’s features before you make a decision. Whether you are shopping for a new car or a used one in the Lakewood area, it is best to work closely with reputable new and used car dealerships in the area if you want to ensure that you are getting a good price as well as a good deal. Olympia Auto Mall should certainly be on your list of options when shopping around for the right dealership to work with. If you are looking for used cars in Lakewood for sale, or new cars in Lakewood for that matter; you will find a wide range of options to choose from at our Dealership. We are situated near Lakewood and can offer you test-drives, a selection of top quality vehicles and a wealth of information and advice on the various vehicles that we have for sale. For more information or to book a test drive, contact us at Olympia Auto Mall today.